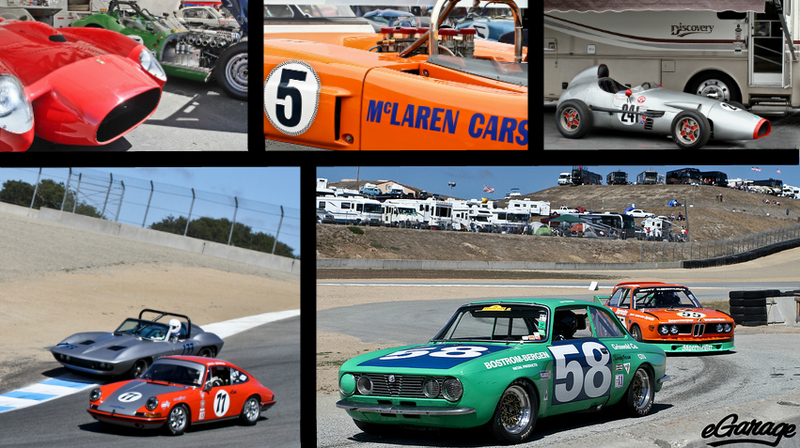 I’m no spring chicken to Monterey’s famed car week, but having attended the annual Automotive nirvana on California’s luscious northern coast several years in a row, I’ve never once made it over to the historic races at Laguna Seca – otherwise known as the Monterey Motorsports Reunion. This year, with the help of the eGarage team, I was determined to change this. In the dichotomy of show and go, I’ve teetered the line into both worlds. I’ve spent more than my fair share of time in car shows. 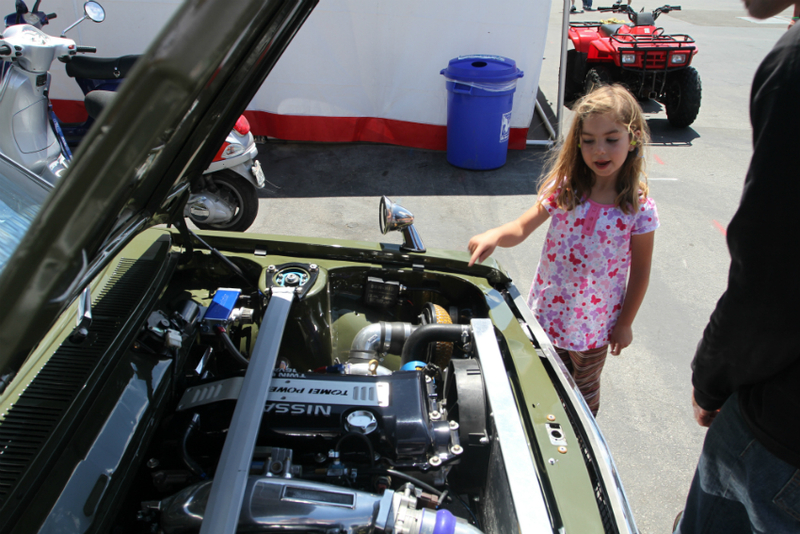 Whether spectating or participating, the basic format of a car show has inherent limitations. It’s quietly passive, restricting the voyeurs and owners to small, surface talk and brief interactions. Owners get bombarded with questions and the good ones are polite stewards of the hobby. The spectators must choose to break through their comfort zone to approach the owners and ask those same questions. The situation does not lend itself to good lubrication for the passionate Automotive enthusiast. On the “go” side, I’d taken enough driver’s education classes and spent countless lapping days on different tracks that I had qualified for a Novice license through the SCCA. The first “race” I was in, at the end of the Novice 2 day class, I realized my competitive spirit was not as vibrant as it once was. After watching the gladiators of vintage motorsports clash on this day, I can honestly say that my spirit has been rekindled. In the spectrum of expensive hobbies, this has to rank towards the top. 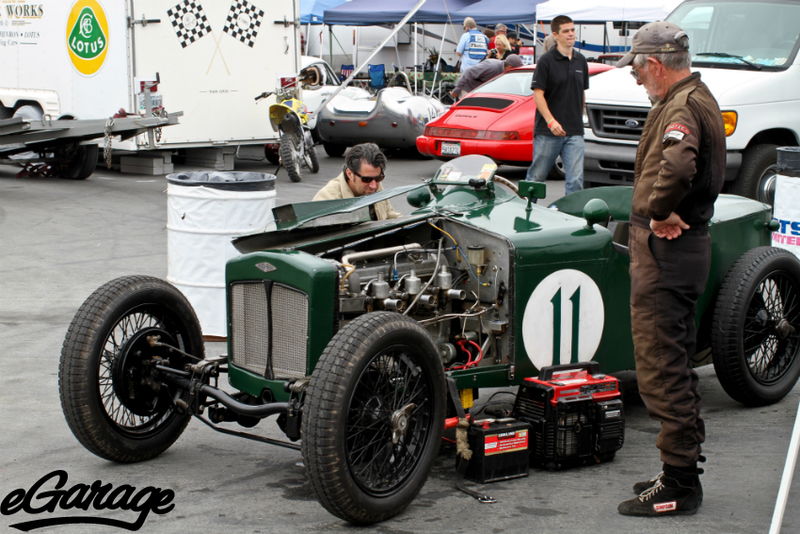 If you can’t respect an individual who combines the passion of collecting with the calculated risk that is thrashing a 6, 7, or 8 figure car through the 11 apexes at Mazda Raceway, then maybe it’s time to adjust your standards for respect. Upon first arriving, we witnessed a class of Mopar racers thundering down the straights and I knew I was in for a treat. 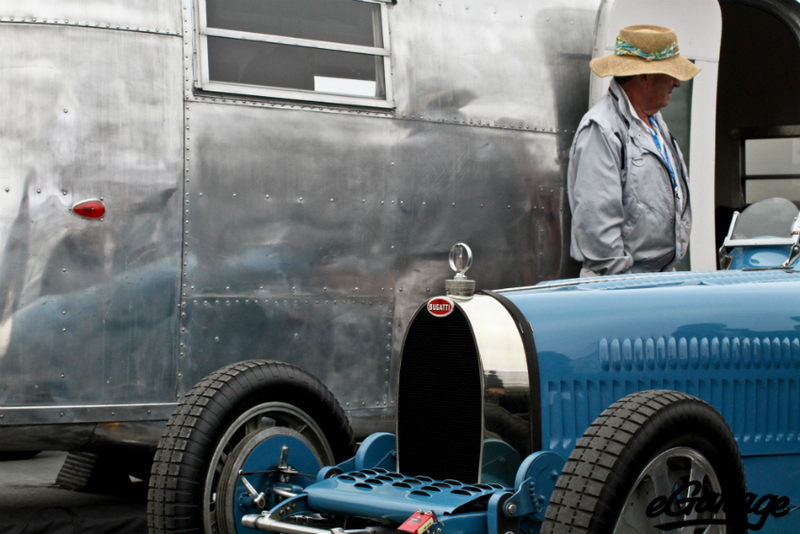 Walking through the paddock area, the spectator is brought into the world of the gentleman racer, the hobbyist teams, and the corporately endorsed titans. The sights, sounds, and smells of the bustling pit stations were gloriously intoxicating. The attitude pervasive throughout the attendees and racers matched the undulations of the landscape – simultaneously gentle and awesome. The humanity saturating the paddocks was tangible. I wanted to talk to everyone and find out why and how they were connected to the cars they were campaigning. I wanted to plug into the Matrix machine and download everyone’s story in an instant. The hours flew by. Walking up to the top of the hill, I learned a valuable lesson for Laguna Seca. Windy, dusty conditions are not conducive to shuffling feet. Pick em up people, it’s better for everyone’s experience, and your grandmother would be proud. 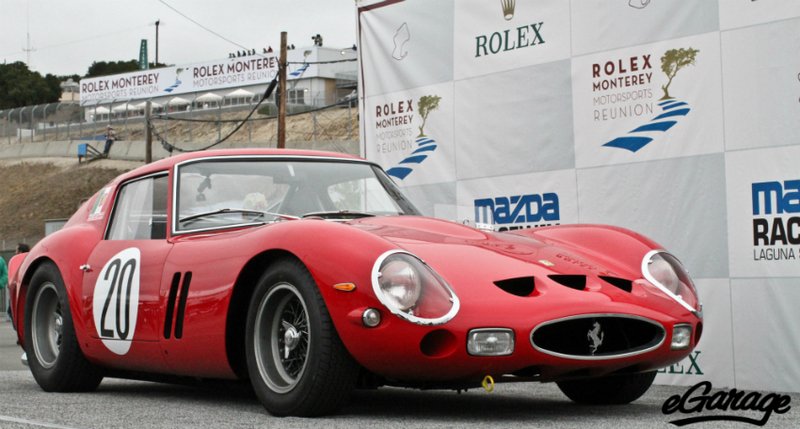 Unfortunately, while we walked up, we missed 1/2 billion dollars worth of Ferrari 250 GTO cars thundering around the track. However, the day crescendoed with the apocalyptic exhaust sounds of the “greatest Ferraris of all time” thundering throughout the hills. With time running out, we only had one more race to watch; a Shelby Cobra chasing a Ferrari Dino down the corkscrew, the memory will be forever engrained; both cars’ suspension completely compressed at the bottom before opening throttle and getting shot into the valley with something to prove and glory to capture. The Monterey Herald newspaper headline for the weekend reads “Elegance, Style, Grace”. 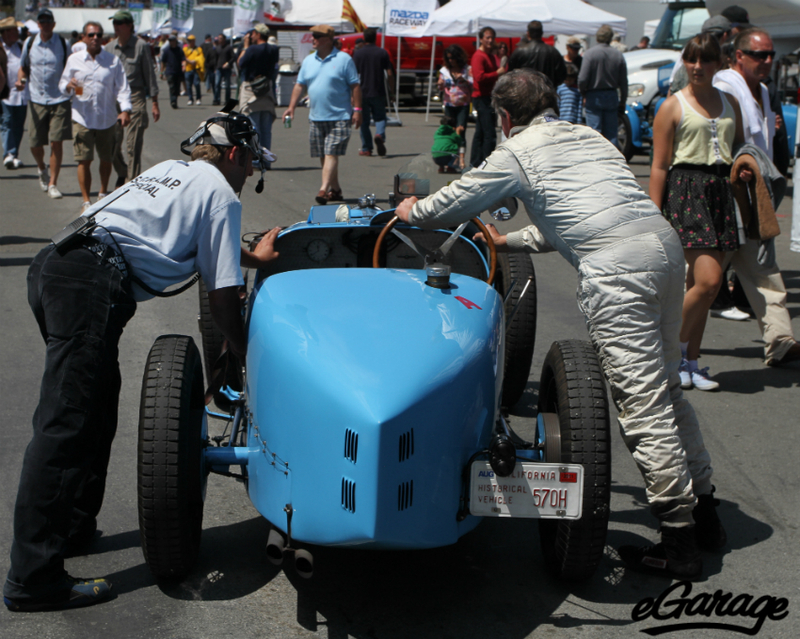 After spending an afternoon around the paddock and hilltop of Laguna Seca, chatting with friends old and new, the Automotive culture here couldn’t be summarized with three more accurate words.